Welcome to Dr. Namey's Office! We understand what an important role your physician plays in your life, and this Web site is designed to make your experience with a rheumatologist in Knoxville, TN more comfortable than ever before. Included in this site is information on Dr. Namey's primary areas of practice: rheumatology & arthritis (adult and children), sports medicine, and nutrition / obesity. You'll also find helpful information on your first visit, a biography on Dr. Namey and directions to the office. 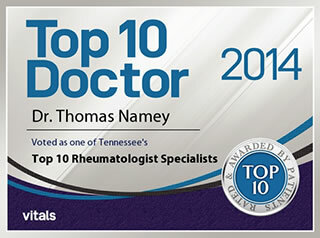 Dr. Namey has proudly practiced in East Tennessee since 1989, and his recent recognition as "One of America's Top Physicians" has reconfirmed his worldwide reputation in medicine and medical research. 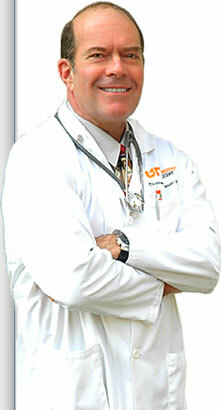 He is a Professor of Medicine, Nutrition, and Exercise Science at the University of Tennessee in Knoxville. 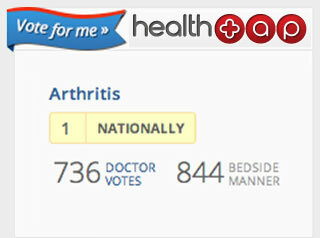 NEW Dr. Namey is the top-rated physician in 5 categories on healthtap.com.